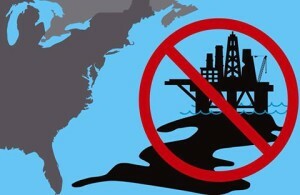 To recap, the Obama Administration announced in January of this year a plan to open up the Atlantic Ocean to oil exploration and offshore drilling in a head-scratching move from an Administration that has been eager to participate in, and even lead the attack on climate change. Learn more about the Bureau of Ocean Energy Management’s (BOEM) 5-year proposal here. Without digging in too deeply here, this proposal has been widely panned by people of all walks including environmentalists as well as folks in the oil industry – albeit for very different reasons. The largest and most uniform opposition to the plan comes from the 85+ east coast cities and communities that have adopted resolutions that publicly denounce seismic testing and/or offshore drilling. In particular, Representative Mark Sanford (R-SC) has been a vocal opponent to seismic testing off of the Atlantic coast and we’d like some of our own GA reps to follow suit. Before the end of the year, I wanted to send you a quick update on offshore drilling activities. As you know, most of the attention on the issue is up with the federal agencies in Washington DC. Right now, 95 East Coast communities have passedresolutions opposing offshore drilling and seismic testing. We have also seen great leadership from Representaive Mark Sanford of SC coordinating a bi-partisan group of Congressmen and Senators writing to Secretary Sally Jewel of the Department of Interior asking that she exclude the Southeast and Mid-Atlantic from the 5-year lease plan for oil and gas development! Click here to read the letter. If you need help, feel free to use the talking points below, or any information from Sandord’s letter. I am calling today to ask you to oppose the US Department of Interior’s plans to open up the Southeast coast to oil and gas drilling. 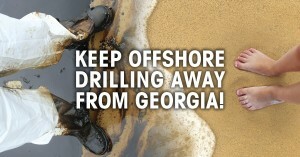 Georgia’s coast is too precious and we have too many jobs dependent on a clean and healthy coast to risk opening it up to the dirty business of offshore drilling. Representative Sanford from South Carolina has led the effort to build a group of Congressmen and women opposing the proposal. I urge you (Congressman) to sign on to that letter and support Georgia’s coastal economy, wildlife and future. South Carolina Lawmakers Introduce Landowner Protection Bill – Action Needed!